As soon as November rolls in, we know its festival time! A whole variety of holidays that span across various cultures and countries like Diwali, Bandi Chor Divas, Thanksgiving, Christmas, Hanukkah etc. all fall within a two month span. No matter which holiday it might be, the thing that people look most forward to, is the dessert 🙂 It’s okay to indulge once in a while but if you are faced with lots of parties back to back then it becomes a struggle! Especially for a person who might be struggling to eat healthy for a variety of reasons. They could be trying to lose weight or might be suffering from diabetes or a cardiac issue. They might be trying to cut down on sugar and simple carbs! Seeing platters of sugar heavy desserts for such a person can be torture! 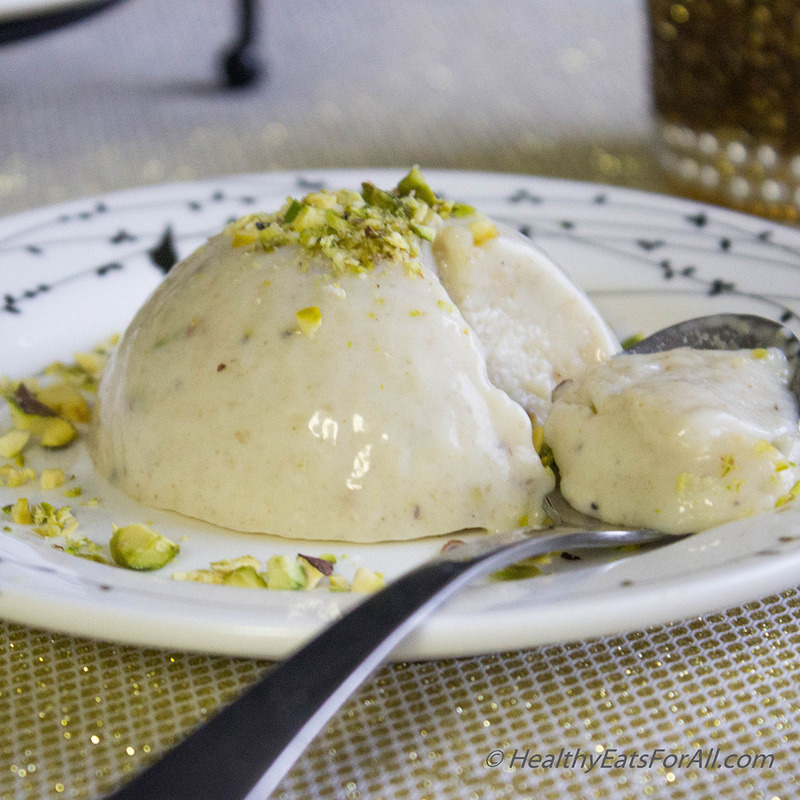 Kulfi is a frozen dessert from India which is popular as a street food. It is eaten like a Popsicle on a stick. But it has also been brought mainstream in a variety of shapes and flavors like pistachio, kesar (saffron) and mango etc. in restaurants. 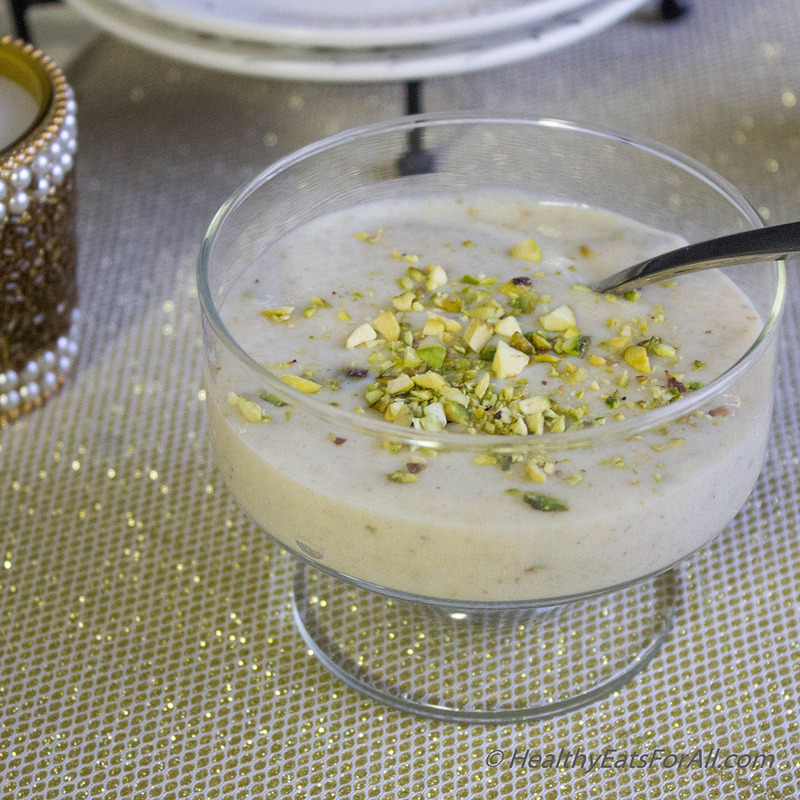 The typical kulfi is, as to be expected; is very high in fat, sugar and calories. It is served with or without Falooda (rice noodles with flavored sugar syrup). If you don’t like frozen treats then you can eat it as it is at room temperature also :). It will be then called Rabri (like pudding)and not Kulfi. 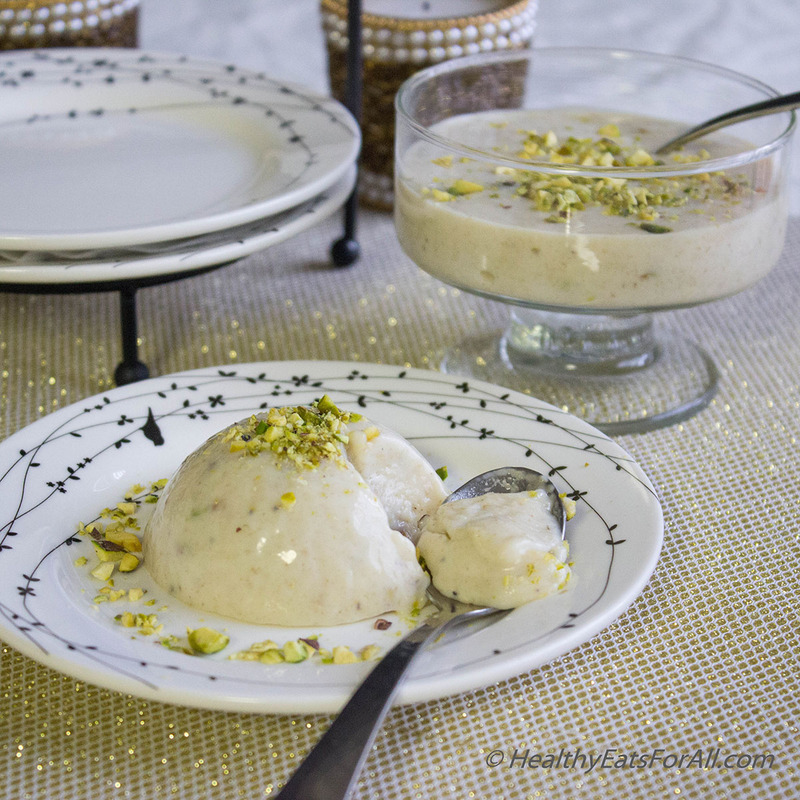 So in my quest to look for a healthier version of Kulfi recipe I came across this recipe on Cuisine blog which I modified a bit. 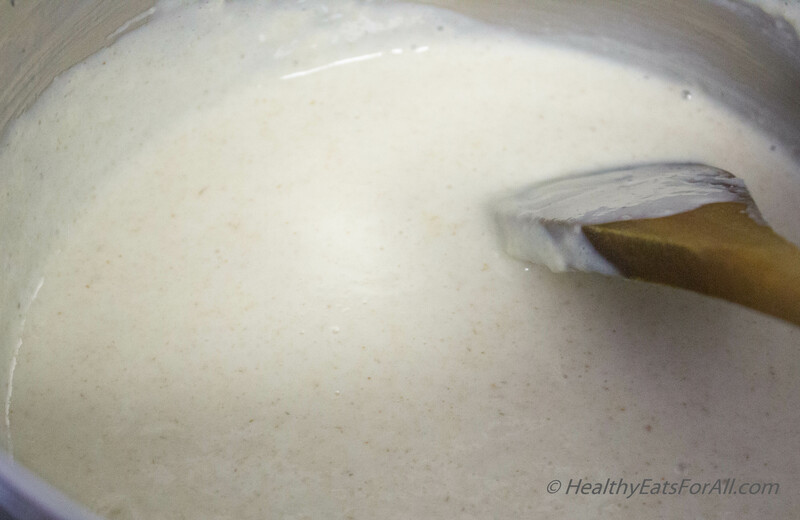 The simple fact of using oats instead of heavy cream has slashed the fat, calories and sugar to less than half of a regular Kulfi!! But reading the numbers is one thing and taste is another. Please, please don’t just look at oats in the recipe and reject it! Give it a try! 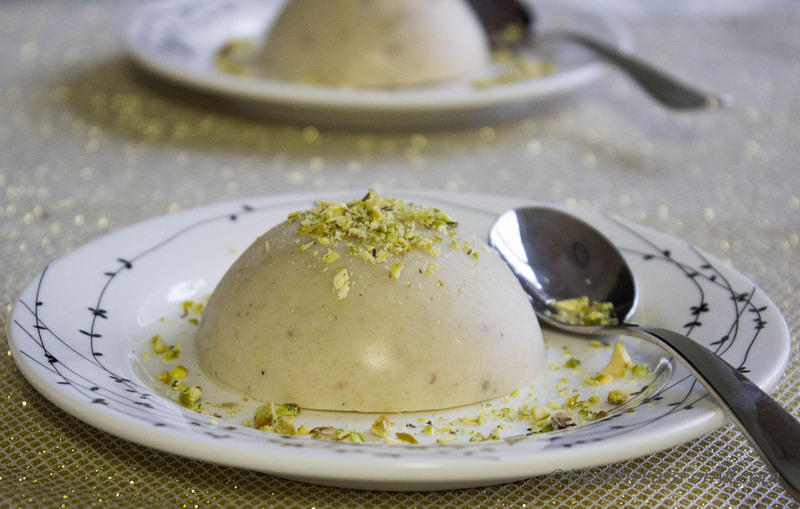 It tastes fantastic, texture is creamy, looks exactly the same 🙂 I could not find my regular kulfi molds and happened to have these half sphere silicon molds which I used instead. Try to give yourself or your guests at least one dessert choice which they can eat and enjoy without the guilt! 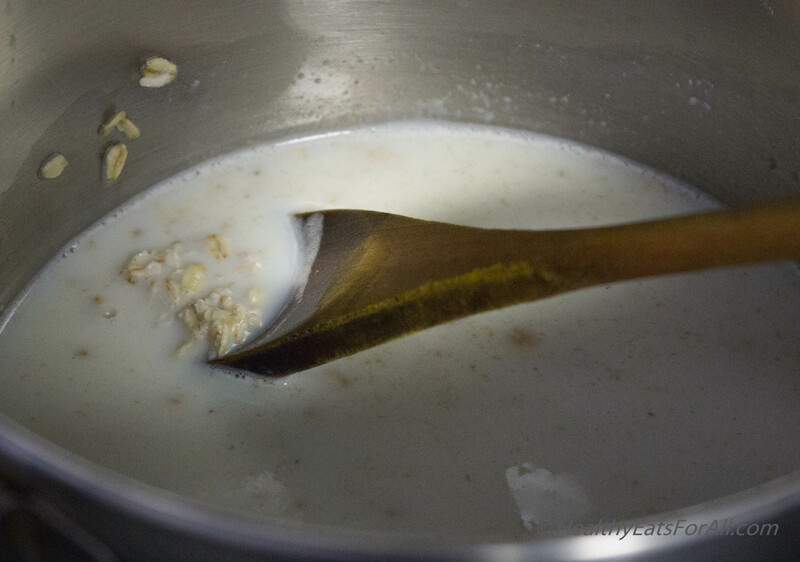 Soak the oats in milk for about half hour. Then cook them for 15-20 minutes till very soft and mushy to touch. 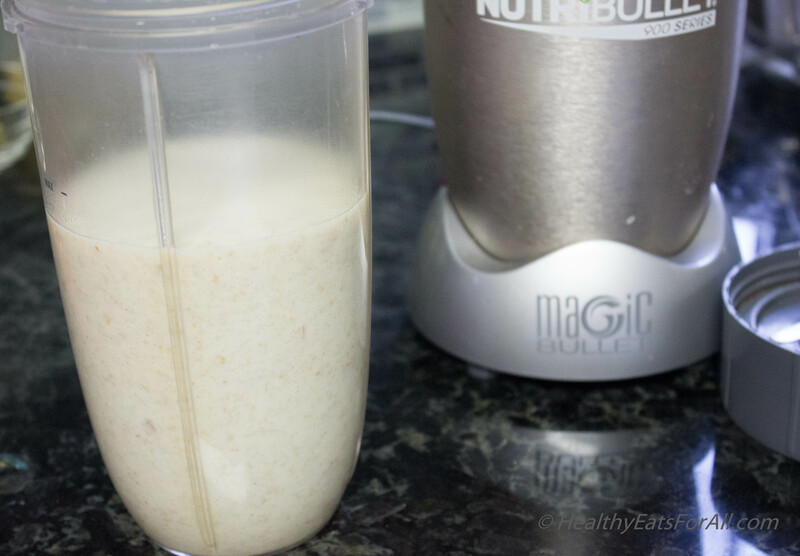 Cool the mix for a bit then blend it in a NutriBullet or any blender so it is the consistency of a smooth pour-able pancake batter. 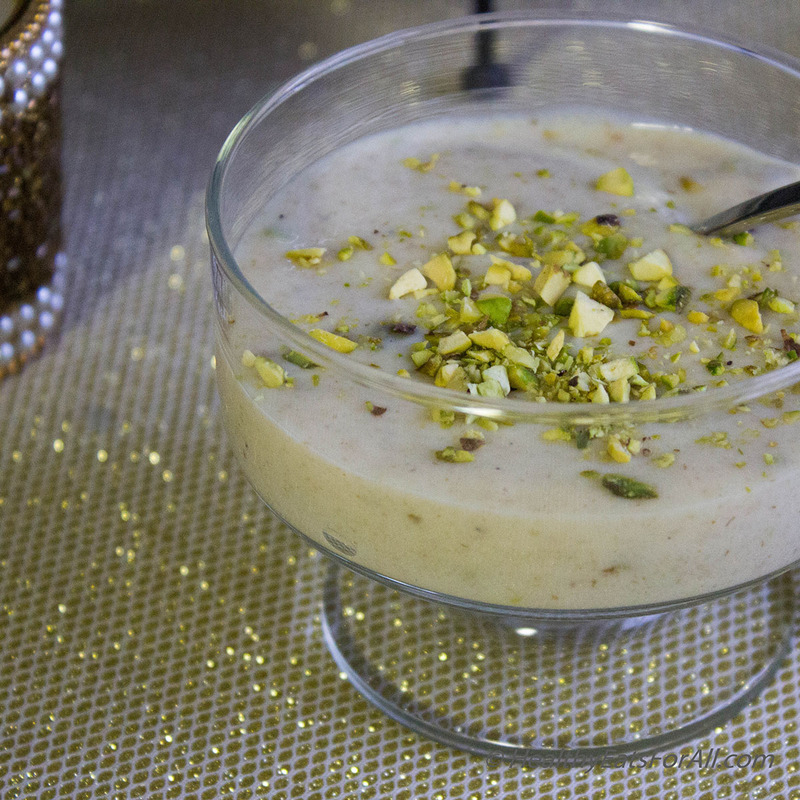 Add the condensed milk, cardamom powder and minced pistachio to the mix. Mix well and pour into whatever molds you might have. I had this tray of half spheres and used that! Popsicle molds also would work great. Freeze either overnight or for 6-7 hours at least to get a nice shape. When done, pop them out and garnish with some more minced pistachios and enjoy! In case eating it as Rabri(like pudding) then just pour into serving dish after mixing well, garnish and no need to freeze. This looks fantastic and I love pistachios. Definitely must try this sometime. I also love those blue and white plates, gorgeous. What pattern are they?? I hope you will the recipe a try!